For this edition of JCN, I felt it fitting to expunge and exfoliate some of the unclear facts from mystified fiction in Japanese ceramic history, as well as shedding light on little known secrets or ambiguities that may have plagued a reader or two. 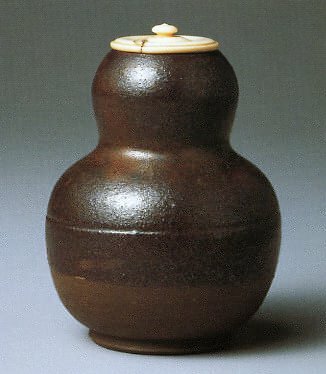 I hope you find this helpful, and that it heightens your awareness to various aspects of Japanese pottery. And moreover, these questions are simply ones that crossed my mind when I was reading up on ceramics, and I will love to hear of and provide answers to questions that readers might find confusing or have long gone unanswered. In other words, please send in questions, as it will be my utmost pleasure to answer them within the pages of Japanese Ceramics Now. Why "Six " Old Kilns? Why is it "Okabe" Mineo, and not "Kato?" Four styles are associated with Mino: Oribe, Shino, Ki-seto and Setoguro. But aren't the latter two styles from neighboring Seto, as their names seem to suggest? Are Jomon wares and the Jomon technique of Living National Treasure Shimaoka Tatsuzo the same? What type of ceramic ware ranks highest in the Tea Ceremony? Why is the chawan (teabowl) classified in a league of its own, apart from all other ceramic wares? 1. Why "Six " Old Kilns? Six old kilns? Ehem. 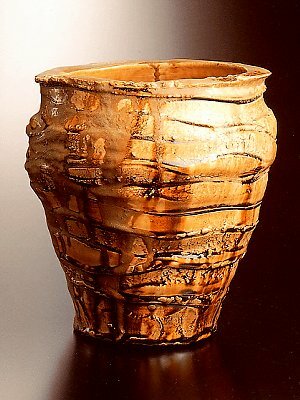 The Japanese term "Rokkoyo" has, for some strange reason, been accepted into the minds of pottery fans as fact. Many, however, may not know that the term was only first introduced in the 1960s by the great scholar/potter Koyama Fujio. 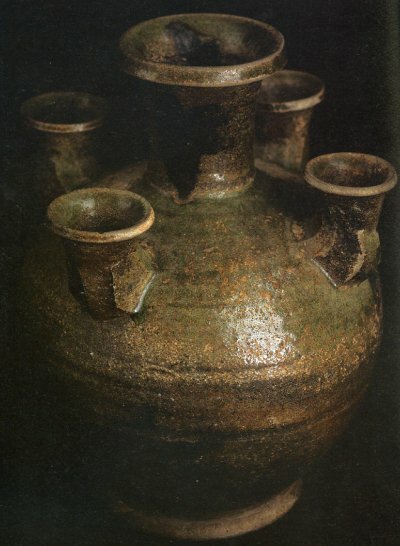 Koyama was pivotal in excavating and researching ancient kiln sites throughout Japan, in particular the kilns in and about Seto, a medieval kiln site where Koyama learned pottery. Before World War Two, only five medieval kilns (meaning kilns that were not based on innovations/pottery traditions from the continent, such as Hagi or Karatsu) were known to the Japanese: Bizen, Tamba, Shigaraki, Seto and Tokoname. This was primarily because these kiln sites continued to exist, more or less, through hundreds of years of political upheavals and historical events, while other kiln sites faded away soon after conception. Echizen, the last of the Six Old Kilns, was only rediscovered after the war (1948, to be more exact). Echizen, however, was a generic term for various smaller kilns that were scattered throughout the locale of Echizen (currently Fukui prefecture), and probably was not considered a single coherent entity in its heyday. 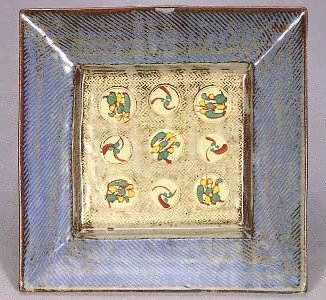 In any event, the discovery of Echizen strengthened Koyama's resolve to label and group the kilns that were born in the same periods as part of a group, and hence, he coined the phrase "Six Old Kilns." Yet, it was consecutively discovered that a great number of kilns actually were also born during the late Kamakura to the Muromachi periods, and coexisted alongside Bizen, Tamba, Shigaraki, Seto, Tokoname and Echizen. Sanage, Suzu, and Atsumi are only a few of such kilns, and were important indicators of Japan's indigenous ceramic record that was different to and independent from the Korean-influenced kilns of Hagi, Karatsu, and Agano, among others. Suzu and Atsumi, for example, are still relatively unknown kiln sites, which have some very interesting glazed works to spring from its kilns. Information is scarce, and I will gladly write about a particular kiln if any of you are interested. 2. Why is it "Okabe" Mineo, and not "Kato?" Many might have heard of Okabe Mineo, the extremely talented potter who dazzled pottery fans for his bold and imaginative pottery, ranging from natural ash-glazed wares, Oribe and Shino, and to his later passion for celadon. Okabe is actually one of my early favorites. However, one might not make an immediate connection between Okabe being the eldest son and original heir to the kiln of Seto legend Kato Tokuro. This ambiguity is not surprising, as Okabe and his ife played a great part in erasing all evidence of the connection between himself and father Tokuro from the public eye, especially as Mineo neared death. Okabe's birth name was Kato Mineo, and he was indeed the eldest son of Tokuro. Okabe was a child prodigy, just like his father, and could spin works like the infamous Einin Tsubo at the early age of 17. With memories of physical beatings and lack of love and affection from his father, Mineo resented his Tokuro as a child, and grew to be a cynical, quiet man who despised his father's boastful and loud airs. This resentment was enlarged with the onslaught of the Einin, which depicted the ever-honest Mineo as similarly deceitful as his dad. This did not go down very well with Mineo. Thus, Mineo decided to adopt his wife's name in his later years, not only as a symbolic break from his past, but as a symbol of great love and respect for his ever-faithful wife who had supported Mineo through thick and thin, along with the innocent wish to start afresh as a potter in line with the masters that came before him. Unfortunately, the talented Mineo's name was always tainted for his hand in the Einin Tsubo incident, and the artist eventually fell to a long bout with cancer, thus stilting the dreams of pottery fans who envisioned Mineo as a future Living National Treasure. Kato Shigetaka, Tokuro's 3rd son, took over Tokuro's kiln, and to this day protects it with his son Takahiro. I have never heard Shigetaka mention his elder brother in interviews, and their relationship as brothers is shrouded in mystery to this day. 3. Four styles are associated with Mino: Oribe, Shino, Ki-seto and Setoguro. But aren't the latter two styles from neighboring Seto, as their names seem to suggest? Seto was long considered the birthplace of Ki-seto and Setoguro wares, just as their names imply. Ki-seto, for example, literally means "yellow Seto wares," while Setoguro refers to "black Seto wares." Yet names are deceiving, and quite amazing is the fact that for centuries, the potters of Seto had self-imposed a quizzical and uneducated trance upon their own ceramic traditions. Shino and Oribe, along with the above two styles, were also passively considered to be invented in Seto, especially through the efforts of a mythical figure named Kato Toshiro, the so-called founder of the Seto kiln. Living National Treasure Arakawa Toyozo and his rival Kato Tokuro were some of the first to question this common perception, pointing to, amongst others, the dire lack of Momoyama pottery shards in Seto to help verify such claims. 4. Are Jomon wares and the Jomon technique of Living National Treasure Shimaoka Tatsuzo the same? Jomon wares refer to Japanese earthenware made during the Jomon period, or between the years 10,000 BC to 300 BC, and were often decorated by imprinting rope onto the clay bodies -- hence the name Jomon, which literally means "rope-pattern." Mashiko's Shimaoka, the apprentice of Mingei master Hamada Shoji, also has a technique called Jomon, and it too is written with the same Kanji characters (that of "rope pattern"). Similarly, Shimaoka decorates his wares by imprinting different kinds of rope coils onto his clay bodies and over glazes, and in many ways his designs are reminiscent to the rope decorations of Jomon wares. However, it is clear that Shimaoka's wares are not copies of Jomon earthenware, and are closer in essence to Mingei-inspired wares. Furthermore, his Jomon wares are often the result of the technique of zogan, or inlaid wares. In other words, I think it is more appropriate to label Shimaoka a "Mingei" potter, rather than a "Jomon" potter. 5. What type of ceramic ware ranks highest in the Tea Ceremony? For those privy with the Way of Tea, one will surely know that the chawan (teabowl), contrary to popular belief, is not the highest ranking ceramic ware used in the tea ceremony. It is the chaire, or tea caddy, which has the utmost authority, and is often exhibited at the very end of the ceremony as a sort of grand finale. A good chaire is hard to come by, even in the Momoyama period, and thus the value of a single chaire masterpiece would be the same as a small fiefdom. Antique dealers have a phrase, "if you have the luck to meet a chaire masterpiece in your lifetime, it will be your last," a saying that indicates just how hard it is to find good chaire. I remember Toda Shonosuke, the head of the greatest tea-ware store in all of Japan, Toda Shoten, boasting in his book that he was lucky to find and sell three or four masterpieces in his youth. I suspect he wasn't lying, as a flood of great works would be floating in the market after the shambles of war. Today, no such free-flowing market of masterpieces exists, as they were all bought up in the 1950s and 1960s. Other ceramic items found in the tea ceremony are mizusashi (fresh water jars) and hanaike (vases), but the mizusashi is the accompaniment to a chawan, and the hanaike the accompaniment to a hanging scroll. In other words, they are used to supplement and accentuate other wares, and not to take over as protagonists in the tea ceremony. 6. Why is the chawan (teabowl) classified in a league of its own, apart from all other ceramic wares? 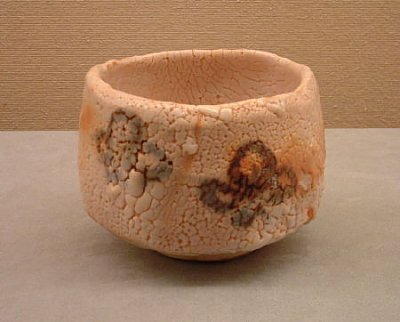 Although the chaire is the undisputed top of the Tea Ceremony league, the chawan holds a special place in the hearts of pottery fans and potters. The above question is actually a complex one, as the chawan is a complex type of ware; I doubt I can do this question justice in the course of a few lines, and I will surely want to write about this subject in a full-fledged article. Yet for the meantime, here are some points as to why the chawan is special. First of all, the chawan has certain rules that must be kept to in order for the bowl to be classified as a chawan. 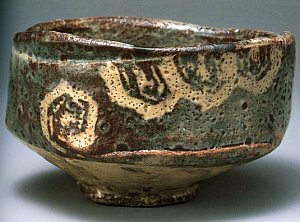 For example, many advocates of tea, along with potters themselves, claim that the chawan must have a balance between several elements, such as height, width, depth, kuchizukuri (lip), dou (body), and kodai (foot-ring). A lack of these elements will make the bowl either a plate or a hachi (multi-purpose bowl), but not a tool that is appropriate for drinking frothy green tea in the tea ceremony. In a sense, the tea ceremony only works when the people at the party follow certain rules of play. This, in particular, is in regards not to manners (the various rules of mannerisms in the tea ceremony are much too strict today, and have become mere formalities), but to what sort of tea wares are used. This aspect, as well, has become overly cumbersome throughout the years. But in regards to the chawan, the rules as to what comprise a chawan are often set in stone, unless the master of ceremonies is of a level in which he can pull the high-level stunt of using a large bowl as a teabowl. For example, my young tea master, Sen Sooku, who will eventually become the 15th head of the Mushanokoji School of Tea, once served a very large, wide-mouthed hachi (bowl) during a tea lesson. It was a 16th or 17th Choson dynasty hakuji (white porcelain) bowl, and was probably specifically made for serving food. It had a pleasing asymmetrical and austere roundness to it, and was just lovely. I would have never used it as a chawan. But my teacher could, as he pointed to the base as the reason why it could serve as a chawan. Lo and behold, as we flipped the bowl over (after, of course, us fellow students had drank the contents of the bowl), we saw that the kodai foot-ring was very small. In other words, although the mouth of the bowl was wide, the size of the kodai balanced the bowl into a dimension worthy of the tea ceremony. Ordinary people, like me, probably could not have seen the "chawan" within the bowl. In other words, a chawan is only as good as its owner. But this point I would like to stress, as the chawan is a vessel that requires, or is instilled, some form of spirituality, unlike any other tea article. Spirituality, in a sense, refers to the ideals and ideas that take place within the tea ceremony, especially those of Zen, naturalism, and hospitality. It is the sincere-ness within hospitality that is, at my heart, the basis of tea, and not simply an austere Zen mentality. In other words, the tea ceremony began as the "art of receiving guests." Life is fleeting, and serendipity rules all. You may never again meet the person that sits beside you. Thus, to appreciate the subtle magnitude of "now," and to cherish to the fullest this very moment with a guest, the tea ceremony was made. To serve a bowl of hot tea, along with tasty food and in a comfortable setting -- such simple thoughtfulness is at the heart of tea, and it is vastly different from the rigid conformity that Tea adheres to today. In other words, it fits the spirit of 一期一会, or the idea of "all is only once in a lifetime." You are never the same. And so, at that point in time, let us embrace the time we have. Such is the "spirituality" of tea, which is, in my opinion, the most important aspect of the Way of Tea. If such is the case, the chawan is a special item indeed, as it is the only item that is passed between the master of the house and the guest. It is the bridge that links two hearts, two beings, together in harmony, to appreciate that very moment in time. Such is the beauty of the chawan. It holds spiritual value, and thus, a good chawan is elevated to another dimension. A good chawan should be not only physically beautiful, but spiritually beautiful. And with the spirit of Sen Sooku in the above example of the Choson bowl, that particular bowl will work as a chawan. Furthermore, the chawan's spirituality is what makes it an extremely challenging item for the potter to make. In Japan, the chawan is no ordinary vessel, and to carve the kodai foot-ring to perfection is one of the most difficult tasks that faces a potter (spinning the bowl, in other words, is a quite simple and carefree process). The Tea Ceremony is a complex ritual, especially in this modern day and age. But no matter the age, the pleasure that is given and received by a soothing bowl of tea is both inexplicable and sublime. Was this Q and A helpful? These topics were written at random, and were questions that hit me when I was teaching myself about Japanese pottery during the past few years. Below, I have listed potential questions that readers may want answers to, among others. Please do not hesitate to email me with any sort of question pertaining to Japanese pottery, as I enthusiastically intend to make this column into a forum of ideas, more than anything else. For ultimately, this article is only as successful as its readership. Have a wonderful week. Why are there so many Living National Treasures from Bizen? What are the Nitten and the Nihon Dento Kogeiten? What are Tojiro and Honoho Geijutsu? Why is Bizen's Kakurezaki Ryuichi so popular? Who are the hottest youngest potters today?